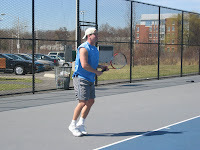 The Grand Slam tournaments are, of course, the “Show” tournaments known the world over. Unlike other events, the slams are available to most people on one of the broadcast networks, as well as some cable stations, like USA or others. But many events —5 are listed below--will be held between now and May, until we reach the next major, The French Open, May 24-- June 6, including those listed here. 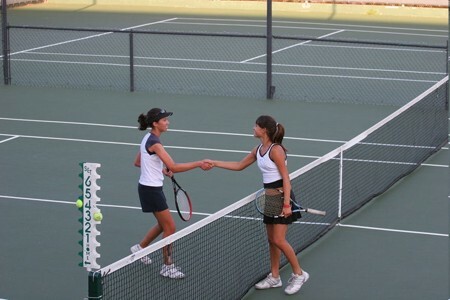 The most recent top tier tournaments were the PNB Paribas, which was held in March Indian Wells, CA. 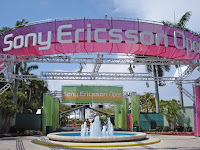 Most recently, the Sony Ericsson Open is ongoing at Crandon Park, in Key Biscayne, FL, a stone’s throw from Miami and the location of the Tennis League Network's national playoffs. You could see the Sony Ericsson event if you get Fox Sportsnet or Tennis Channel ( a tennis junkie’s dream come true). Sometimes, however, even the finals of these events get weekend airtime on either CBS or NBC. For instance, CBS will air the Sony Ericsson women’s final on Saturday, and the men’s final on Sunday.